I was wondering how to throw a slider. Is there a secret to it because I have tried and have not had any luck. How do you all hold it and release it. And www.google.com is your friend. Use the grip that’s in the articles section. 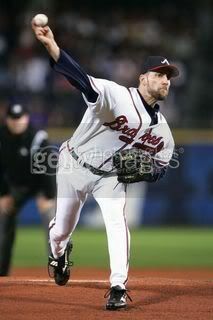 John Smoltz, who has one of the best sliders in MLB, uses the same grip. Similar to a curveball grip. Throw the same as a fastball. Put pressure on the middle finger and thumb. Release with the ball rolling of the side of the index finger. Don’t turn the wrist. Stay behind the ball for as long as possible. Sort of like throwing a football. You can release by pointing the index finger as well to impart the right spin on it, but most don’t. Practice soft tossing it to get the right feel for it, before throwing it full speed. Thanks xv84 and Bower for the info. Similar, but still a slider. Smoltz’ slider is in the mid to high 80’s. 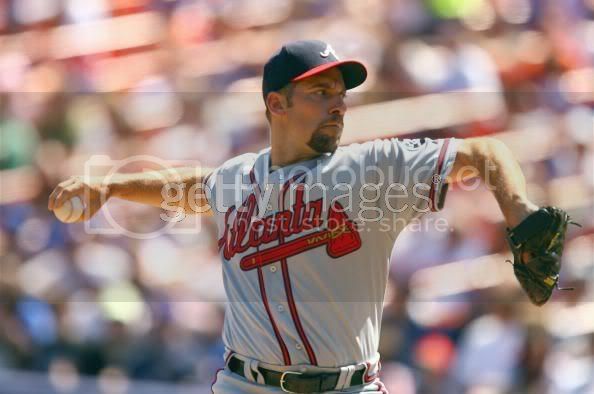 Perez’s arm slot makes his slider have more lateral break compared to Smoltz. Sort of like Randy Johnson’s slider. Johnson has a high sidearm slot. 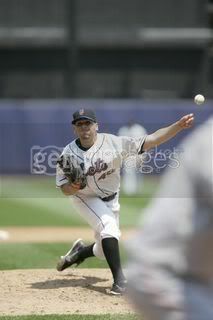 Lefties in general will have more lateral movement on their sliders. Vizcaino has a low arm slot as well and has a lot of movement on all his pitches. When you throw a slider just hold it like that and throw a fastball thats a little off at release??? I wonder if this guy can replace Mariano’s closer role when he leaves. He has some big shoes to fill though. yeah, he can be as awesome as he wants as long as those damn yankees lose to the jays in the next 3. Hmm I dunno about that. Today was the first of a 4 game series? ahh no its a 3 game, but luckily for your yankees you get the 2 worst pitchers in the jays rotation, but then you get the doc. Oh well we’ll see how it goes. Mariano leavin the yanks and Vizcaino taken over?! na :?